Before you take another sip from that soda can, consider this: the epoxy lining of that can contains BPA (Bisphenol A), one of a class of toxicants that mimics the hormone estrogen, an endocrine disruptor that can wreak havoc on your body. Hundreds of studies have linked BPA to cardiovascular disease, intestinal problems, brain cell connection interference, increased risks of reproductive and immune system diseases and disorders, problems with liver function testing, interruptions in chemotherapy treatment, polycystic ovarian syndrome, erectile dysfunction and male sexual problems. BPA has also been linked to the increased risk of cancers, including breast cancer in women and prostate cancer in men, obesity, diabetes and even to the earlier onset of puberty in girls. BPA is not only present in cans (46 out of 50 cans tested contained BPA), but also in plastic bottles, baby bottles, sippy cups, toys, plastic food containers and other plastic products and coatings. BPA is even present in dental sealants. In fact, BPA so dominates our World, that a 2004 National Institute of Environmental Health Sciences study found that 93% of urine samples from American children under the age of 6 contained the BPA. It is also present in our fat cells, umbilical-cord blood and breast milk. Canada has already classified BPA as a toxic substance and has banned its use, as have several other European countries and some states. Due to intense pressure from Big Business, no federal laws or warnings currently exist in the United States, so it is up to the consumers to protect themselves. For those buying from health food stores, thinking those packages are safe, think again: BPA was found in a large majority of any and all canned goods, including those labeled organic, as well as those purchased in Health Food Stores. The only way to avoid BPA is to switch to glass or stainless steel containers, or to look for products packaged in "BPA Free" containers. 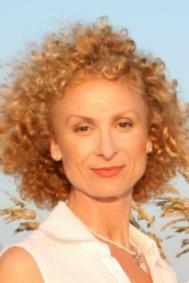 Mirela Monte, Vigilant Consumer Join Holistic Health! Mirela, That makes me VERY GLAD that I stopped drinking soda/pop years ago. Living in the south I now call it soda but growing up in Kansas it was pop. Either way it is no longer in my diet. Mirela - Yes the BPA is bad for our health, but so is the contents of the can. I rarely drink soft drinks and much prefer filtered water or green tea. Wow it that disturbing to hear. I have also heard that people used soda to help de-clog their drains, that is even scarier because people are drink that..hmmmm. thank you for the heads up and more reasons to stay away from soda. Mirela, well I only have about two cases of pop left before I find an alternative. Actually I thought your post was going in another direction...much of the pop cans are stored in warehouses where rodents bugs etc., crawl over the cans leaving little unseen messages for the end user...I've always washed pop cans for that reason. I've read studies that show some people are sickened by unwashed pop cans...just another thought. Mirela, I like drinking from glass and stainless steel. Maybe I'll start carrying my canteen! Mirela, thanks for this information I don't drink soda anymore. But, will forward this post on to my family and friends. I avoid drinking anything from cans. Now I have more reasons for doing so. Mirela - Thanks for sharing these alarming facts which I feel more people need to know. The BPA is probably better for you than the can of soda! I know that I have replaced most of my water bottles with BPA free ones, It cant hurt to attempt to be healthy! Good stuff. California was looking at getting rid of the stuff but the law was shot down. Anyone surprised? I always knew sodas would kill you, I just didn't realize the delivery system was equally at fault. The soda in the can or the can for the soda...it's hard to pick the worse villian. Thanks. I had never heard of this substance.